Hiring? Toptal handpicks top fintech consultants to suit your needs. Buying via exchanges. The most popular way to trade cryptocurrencies is via cryptocurrency exchanges, websites where individuals can buy, sell, or exchange cryptocurrencies for other digital currency or traditional currency. Some of the largest exchanges include Poloniex and Kraken, which trade over $100 million (equivalent) per day. Buying via cryptocurrency ATMs. There are now cryptocurrency ATMs for cryptocurrencies like BTC, Litecoin, Ether, Dash, and more. 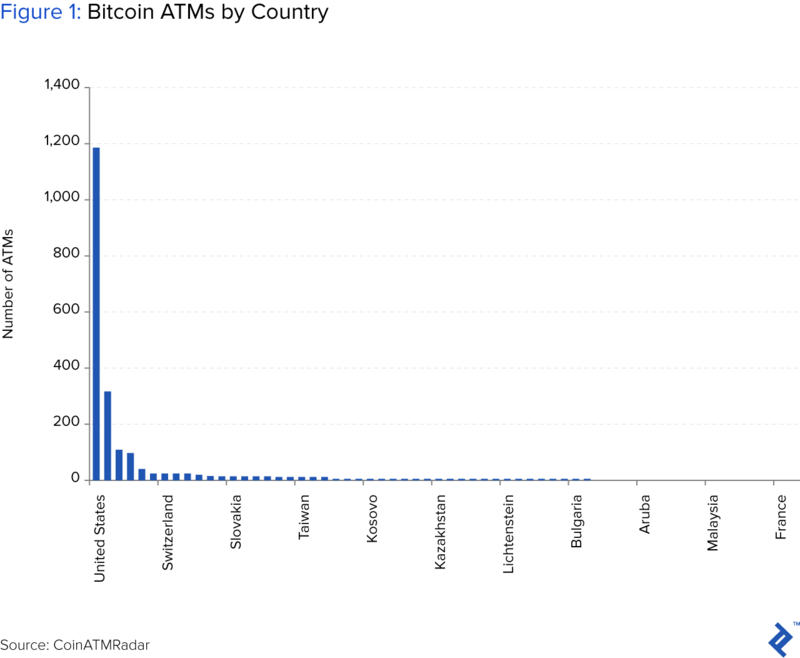 Currently, these ATMs are most abundant in the US (1,188), Canada (314), and the UK (104), as set up by around 20 manufacturers. Buying directly via a private bank. As of August 2017, Falcon Private Bank, in collaboration with broker Bitcoin Suisse AG, will enable customers to trade Ether, Litecoin, BTC, and Bitcoin Cash. Online bank Swissquote released an exchange-traded, actively managed BTC certificate. This certificate was built to manage price volatility by switching investor holdings between BTC via an algorithm. Buying via outsourcing to a fund. Funds range from hedge funds like as Metastable Capital and Q2Q Capital to BTC mining funds like Logos Fund. In 2017, the number of cryptocurrency funds reached 175 with an estimated $3 to 4 billion in assets under management. Selling. To sell cryptocurrencies, the same avenues you used for purchasing are available. That is, you can sell on an exchange, directly to another person, or even at an ATM. Vehicles tracking one currency. Since Bitcoin has long dominated the space, the few passive products in existence today track BTC. These include Grayscale Investment's Bitcoin Investment Trust, which launched in May 2015, has $2.6 billion in total assets and is the largest and most actively traded fund in the crypto space, and whose value has increased 4300% since inception. Vehicles tracking multiple currencies. Various products are being developed for tracking multiple currencies, likely the top 5-20 cryptocurrencies measured by liquidity and/or market cap. I expect that a few will be launched in 2018, such as the Crypto Market Index Fund by Crypto Finance AG. The fund is aiming to raise $113 million of AUM in the first year, with the eventual goal of $3.4 billion within three years. Fees are expected to be 1-2% per annum. Bitcoin futures. Bitcoin futures are meant to help manage price volatility and allow investors to speculate on the price of BTC without having to directly own it. BTC future trading started on CBOE and CME in December 2017 and will start on NASDAQ in 2018. Margin requirements are relatively high, at over 40% on the long side and over 100% on the short side! Storage. Security is of utmost importance with cryptocurrencies, especially considering the Mt. Gox theft, when $4 billion of BTC was laundered. There's a trade-off between liquidity and security because you may need hours to get your coins out of storage, which can be an eternity in crypto trading time. Monitoring. Social media like Twitter, Reddit, and Medium are indispensable for staying up to date in a rapidly evolving industry. On Reddit, you should join the appropriate boards, while on Twitter, you can search for the appropriate hashtags and follow frequent, knowledgeable commentators on the subject. There are also other sites that provide more technical data. So, you’ve decided to get exposure to cryptocurrencies. Perhaps you are seeking a geopolitical hedge against political and economic uncertainty, or perhaps you’re excited by the buzz and want in. What now? In this newer space, a personal financial advisor may not be of great help. Neither will be your banker, unless you are a customer of progressive Swiss private banks like Falcon or Swissquote, which facilitate crypto trading. This article provides practical information and resources around passive vs. active cryptocurrency investing, how to buy, sell, store, and monitor cryptocurrencies, as well as tax regulations in the space. As a private investor in cryptocurrencies, partner of cryptocurrency hedge fund Q2Q Capital, and overall cryptocurrency enthusiast, I’m excited to see how the space progresses and how acquisition will become ever-easier. A quick caveat: This article will not cover deciding whether to invest in cryptocurrencies and how large the portfolio allocation should be. However, in deliberation, you should consider everything from your age, wealth, risk tolerance, and exposure to other asset classes to your level of conviction in various cryptocurrencies. You’ll need to read white papers as well as browse relevant materials on online forums and social media like Twitter, Reddit, Medium, and cryptocurrencies’ GitHub accounts. You’ll also need to determine the type of exposure you want. After all, virtually everyone is familiar with Bitcoin (BTC), but most do not know that there are well over a thousand cryptocurrencies—1384 as I write this. I find it useful to think of cryptocurrencies as a new asset class, which allows us to compare their investment approaches to more established asset classes, such as equity investments. For example, one of the biggest topics of discussion in the equity investment space involves the merits of passive vs. active investing. The debate between the two approaches and their relative merits and risks is enough to create a dissertation and is beyond the scope of this article. However, generally speaking, passive investing is aimed at the longer term, requiring a “buy-and-hold” mentality, while active investing is more hands-on. For example, in the context of equity investing, you’d need to decide whether to buy a broadly-exposed fund like an S&P 500 index fund or an actively managed fund where the fund manager engages in stockpicking. Alternatively, you could actively manage the portfolio yourself by doing your own stockpicking and monitoring. The same approaches exist in the cryptocurrency space, though many products are more nascent and in development. By far the most popular way to trade cryptocurrencies is via a cryptocurrency exchange. Cryptocurrency exchanges are websites where individuals can buy, sell, or exchange cryptocurrencies for other digital currency or traditional paper (“fiat”) currency. Most exchanges convert cryptocurrencies into other cryptocurrencies; that is, you can use one cryptocurrency to buy another, but you cannot use your fiat money (like US Dollars). Some of the largest exchanges include Poloniex, Bitfinex, Kraken, and GDAX, which trade more than $100 million (equivalent) per day. Still, some exchanges accept fiat money, where you would fund your account by wire transfer. Some exchanges even allow credit card purchasing of crypto, although usually in limited amounts and at high fees (e.g., 3.99% at Coinbase, the largest US-based exchange). The exchanges that accept fiat are typically limited to only a few prominent cryptocurrencies (e.g., Bitcoin, Bitcoin Cash, Ether, and Litecoin), which you can then in turn use to purchase other, lesser-known cryptocurrencies. You can refer to this site to research which exchanges are accessible from a specific country or accepts specific payment methods. Exchanges also differ in important aspects. For one, the Know-Your-Client (KYC) guidelines whereby exchanges require certain information about the user may be more or less extensive. However, most exchanges nowadays—and certainly the ones dealing with fiat money—require user identification and proof of residence. Additionally, fees differ by exchange, but often range of 0 – 0.5%. Some exchanges also offer value-added features, such as Coinbase’s Vault, which stores coins you are not trading in the short-term in what they claim to be a more secure manner. Lastly, some user interfaces are “cleaner” while others are “busier,” though this is a matter of personal preference. Let’s use a practical example. Say that you’ve bought BTC for fiat money on Coinbase and now want to buy NEO, which is not traded on Coinbase. You’ll first need to find an exchange where NEO is traded, like Binance, and open an account there. Binance will provide you with an address (a “public key”) that you can use to transfer BTC from Coinbase to your Binance account. 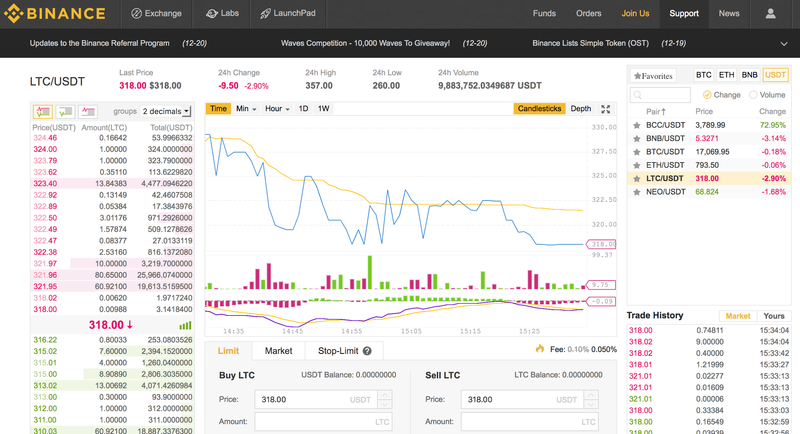 Once the BTC shows up in your Binance account, you can then use it to purchase NEO on Binance. One final note: It is not uncommon to see significant price differences between exchanges, so it’s important to compare. And, if you live in a country with special circumstances such as foreign exchange controls and/or a peculiar political situation, you might find that the local BTC price is at a significant premium to the global average. Another “traditional” way is finding a counterparty (buyer or seller) yourself. You will need a wallet to either send or receive the cryptocurrency. Say you want to buy some BTC for fiat: you would provide the seller with the public key of your wallet and would pay the fiat money once the BTC has hit your wallet. A well-known method of facilitating these peer-to-peer transactions is via localbitcoins.com. Needless to say, you will want to conduct such transactions in a safe, public environment—perhaps in the context of a meetup of a local cryptocurrency group (which you can find via sites like meetup.com). There are now a number of companies setting up cryptocurrency ATMs for cryptocurrencies like BTC, Litecoin, Ether, Dash, and more. Currently, these ATMs are most abundant in the US (1,188), Canada (314), and the UK (104), as set up by around 20 manufacturers. You can use this site to find an ATM near you. You usually feed fiat money into the ATM and it will provide you with the private key you need to access the cryptocurrency acquired. Though they look like traditional ATMs, BTC ATMs connect to a BTC exchange and not a bank account. Once acquired, you can transfer the cryptocurrency elsewhere, like to a crypto-to-crypto exchange. The disadvantage is that fees are typically high, sometimes reaching up to 7% of the transaction. You will also either need an existing virtual crypto wallet, which you can set up online, or an ATM that provides a temporary wallet. Cryptocurrency wallets allow users to send and receive digital currency and monitor their balance. They can be either hardware or software, though hardware wallets are considered more secure. As noted previously, Swiss banks Falcon and Swissquote are currently offering cryptocurrency trading to their clients. As of August 2017, Falcon Private Bank, in collaboration with broker Bitcoin Suisse AG, will enable customers to trade Ether, Litecoin, BTC, and Bitcoin Cash—though the implications for preserving anonymity are unclear. Online bank Swissquote offers trading with these same four cryptocurrencies plus Ripple, and also released an exchange-traded, actively managed BTC certificate. This certificate was built to manage price volatility by switching investor holdings between BTC. For example, it might increase the amount of cash during downturns or periods of uncertainty. The product claims to use an advanced algorithm to determine the shifts between BTC and cash. The advantages of going through a bank include not having to deal with a new bank (for some), open up a separate exchange account, or set up secure storage for your cryptocurrencies. I expect more banks to follow suit over time. Once you are ready to sell some or all of your cryptocurrencies, the same avenues you used for purchasing are available. That is, you can sell on an exchange, directly to another person, or even at an ATM. As with buying, you will be able to trade cryptocurrencies directly for fiat money on certain exchanges. But in other cases with smaller cryptocurrencies, to gain fiat money, you will need to take the intermediate step of selling your cryptocurrencies for a “mainstream” cryptocurrency such as BTC or Ether, which you can then sell for fiat money. This will obviously involve two transactions, double the fees, and a longer period of market risk exposure. It’s important to note that in this very young market, liquidity may not exist at the exact moment when you want it—including situations when crypto exchanges are down—and especially during times of rapid market movement. An additional method of “selling” is via debit cards where you can spend cryptocurrency directly from your virtual wallet, such as those provided by TenX (for BTC, Ether, and soon ERC-20 tokens and Dash) or Xapo (for BTC only). These debit cards reflect the balance of cryptocurrencies you own. When you use them with vendors, your cryptocurrencies are automatically converted to fiat currency; for the merchant, the payment will look the same as a prepaid or regular bank card. 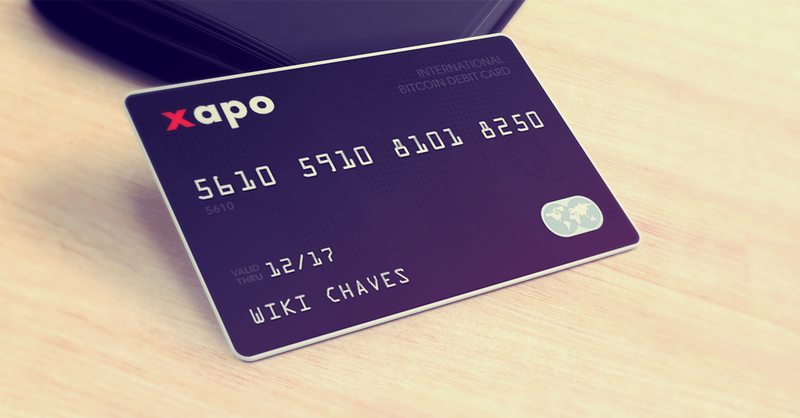 Considering that many cryptocurrency owners are holding for investment, with over half of BTC’s 10 million holders holding purely for investment purposes, these debit cards represent an effort to further mainstream adoption and integrate cryptocurrencies into everyday transactions. Initial coin offerings, known as ICOs, are a rising phenomenon within the crypto world. In essence, they help firms raise cash for the development of new blockchain and cryptocurrency technologies. And, instead of (or sometimes in addition to) issuing shares, they offer digital tokens, otherwise known as “coins.” To demonstrate the popularity of ICOs, consider that celebrities such as Floyd Mayweather and Paris Hilton are now aggressively investing in and promoting them. Or, the fact that in 2017, former Mozilla CEO Brendan Eich raised $35 million from an ICO in under 30 seconds. You can typically participate in ICOs by sending cryptocurrencies to a wallet specified by the ICO issuer. However, it’s important to note that scams have frequently occurred at this step, with many buyers directed by impostor websites to wallets not belonging to the issuer. You may well hardly be able to sell until the newly issued cryptocurrency is accepted for listing on an exchange. Though popular, ICOs carry a lot of risk, are not suitable for crypto beginners, and require a multitude of additional considerations. Alternatively, if you prefer to outsource your active investing, there is an ever-growing number of funds you can leverage. They range from hedge funds such as Metastable Capital, BlockTower Capital and Q2Q Capital, where I am a partner, to BTC mining funds like Logos Fund and blockchain investment firms such as Polychain Capital. 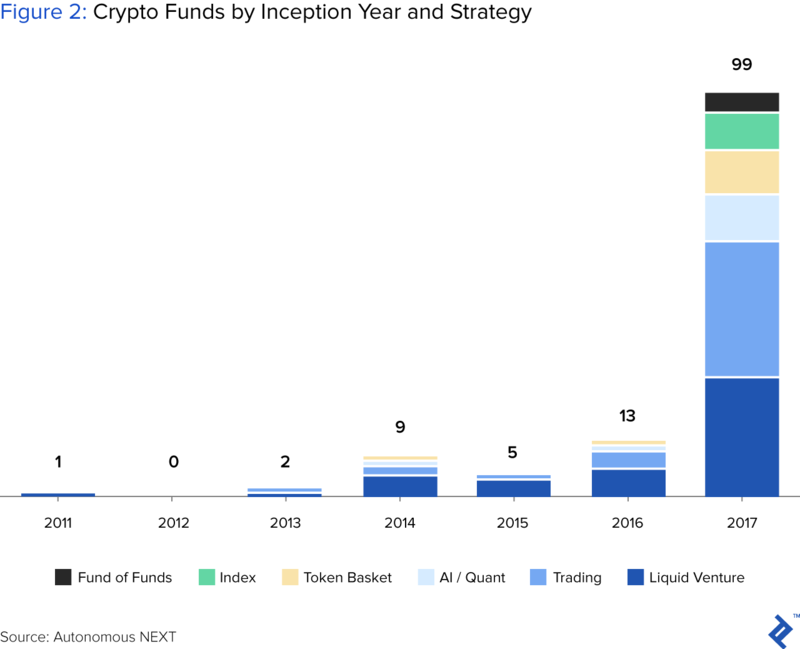 The number of cryptocurrency funds has exploded in recent years, reaching around 175 funds with an estimated $3 to 4 billion in assets under management in 2017. Investment strategies differ but the raison d’être of these funds is to produce risk-adjusted returns that exceed those of passive crypto investing. That is, active investing focuses on the alpha, the amount by which the return of your cryptocurrency portfolio is in excess of the return that can be explained purely by your investment portfolio’s correlation (adjusted for differences in volatility) with the broader cryptocurrency market (“beta”). Many of the active funds will achieve this by picking the right cryptocurrencies at the right time. This is a straight analogue to “stockpicking” in the equity space, though in the crypto space the distribution of returns is much wider, providing the potential for significant alpha. Consider that the range of performance for the top 10 cryptocurrencies over the last 24 hours was -12% to +50% while the equivalent range for the Dow stocks (on the last trading day) was -2 to +2%. While this may mean higher absolute returns, it also means that somebody is managing your risk. This can prove significant in the high-volatility world of crypto: Double-digit percentage price swings within 24 hours are not uncommon. After all, in late December, Cardano, a top 10 cryptocurrency, surged almost 90% in 24 hours and 200% over the course of the week. A disadvantage of these funds is that their fees are higher than those for passive products. Comparable to hedge funds in other asset classes, they often charge a 2% annual management fee and 20% performance fee, though it depends on the specific fund. The funds are also typically limited to qualified investors and have a minimum investment amount between $250,000 to $1 million—though this also differs by fund. Another option is to construct the exposure yourself—something that virtually nobody would do in the equity space given the multitude and low cost of passive products. However, in the crypto space, it is more appealing given the current dearth of products. Below are a few available products for creating passive cryptocurrency investment exposure. One approach is to buy a vehicle that tracks one very liquid cryptocurrency. Since Bitcoin (BTC) is the original cryptocurrency and has long dominated the space, the few passive products in existence today track BTC. These include Grayscale Investment’s Bitcoin Investment Trust (GBTC), Bitcoin Tracker One ETN, or the Bitcoin certificate issued by Swiss private bank Vontobel. For example, GBTC was launched in May 2015 and has traded on the US over-the-counter market. It has $2.6 billion in total assets at the time of writing, is the largest and most actively traded fund in the crypto space, and its value has increased 4,300% since the fund’s inception. However, while it resembles an exchange-traded fund (ETF) in that it is passively managed and seeks to replicate BTC’s movement, its application for ETF status has yet to be approved by the SEC. Several other parties have also filed to launch ETFs, including the CBOE and the NYSE. One advantage of these products is that they are listed on “regular” exchanges such as Nasdaq Nordic for the Bitcoin Tracker One, so you may be able to buy them via your existing brokerage account. Furthermore, you do not have to worry about logistical issues like how to buy, sell, or store your cryptocurrencies. However, one disadvantage is that they may be trading at a premium to underlying net asset value. For example, because GBTC is the only BTC trust of its kind, the price of GTBC has been driven far above the value of the underlying BTC, at times close to 100%! Another downside is that there are few passive investment options for cryptocurrencies other than BTC, aside from the Ethereum Tracker One ETN, as well as Grayscale’s Ethereum Classic Investment Trust and Zcash Investment Trust. Going one step further is an investment product that tracks several cryptocurrencies. Currently, various products are being developed for this purpose. I expect that a few will be launched in 2018, such as the Crypto Market Index Fund by Swiss company Crypto Finance AG. The fund is aiming to raise $113 million of AUM in the first year, with the eventual goal of $3.4 billion within three years. As of mid-2017, the fund’s investors dedicated $11.3 million, with an additional $11.3 million in transition. According to Jan Brzezek, CEO of Crypto Fund AG, “The fund will be highly diversified.” He explained that this diversification will lead to lower volatility while still garnering the “high growth” benefits of new cryptocurrencies. 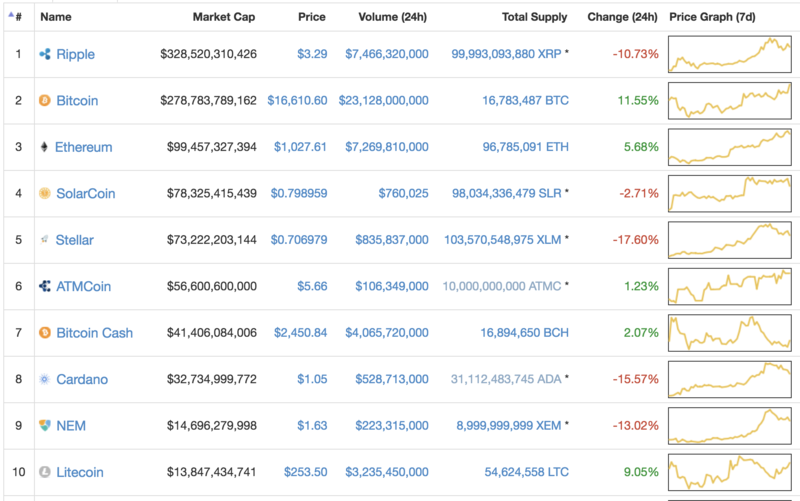 Though we do not have solid information on these products yet, it’s probable they will include the top 5-20 cryptocurrencies, as measured by liquidity and/or market capitalization. As always in investing, this diversification will likely provide better risk-adjusted returns, such as a higher Sharpe Ratio. That is, although you will not match the returns of the single best-performing cryptocurrency, your risk should drop more than enough to compensate for this. It is not yet clear how such products will allocate between the various cryptocurrencies, but the obvious options are either equal weighting or market capitalization-based weighting. In any event, your fund manager will handle this weighting for you. Fees are expected to be around 1-2% fees per annum. There is now another, well-publicized way to get exposure to BTC: Bitcoin futures. Bitcoin future contracts oblige buyers or sellers to purchase or sell BTC based on prices that speculators “bet” BTC will reach in the future. These futures are meant to help manage price volatility and allow investors to speculate on the price of BTC without having to directly own it. There are two major consequences: For one, while BTC is largely unregulated, BTC futures can be traded on regulated exchanges, which can alleviate some investors’ concerns around industry regulation. Second, in geographic regions where BTC trading is prohibited, such as Bolivia and Bangladesh, these futures would allow investors to participate. BTC future trading started on CBOE and CME in December 2017 and will start on NASDAQ in 2018. Note that margin requirements are relatively high, at over 40% on the long side and over 100% on the short side! For those who want to use crypto as a hedge against a meltdown of the existing fiat paper currency system, note that cash-settled futures and exchange-traded notes (ETNs) will not help you since they don’t grant you direct ownership of the underlying cryptocurrency. Needless to say that futures are advanced financial products, so you should procure adequate information and advice before using them. Perhaps unsurprisingly, security is of utmost importance when it comes to cryptocurrencies. You’ve likely heard of cryptocurrency thefts, such as the one at crypto exchange Mt. Gox, where $4 billion of BTC was laundered. If you are trading a lot, you may have to run the risk and leave your cryptocurrencies “on exchange,” where they are more vulnerable. However, if you are even a slightly longer-term holder, the safer way to store cryptocurrencies is “cold storage” where the all-important private keys, which provide control of the cryptocurrency, are stored in some offline way. This includes writing down private keys on a piece of paper, storing them on a hardware device such as Trezor or Ledger, or using a cold storage company such as Xapo or Swiss Crypto Vault (which store your BTC private keys in Swiss bunkers). For either type of storage, you typically simply send your coins to the public address of your storage. Once you need your coins, you can send them to wherever you need them, like an exchange account. The trade-off here is between liquidity and security because you may need hours (check exact time with your cold storage provider) to get your coins out of more secure storage, which can be an eternity in crypto trading time. So, the decision around how much of your crypto portfolio goes into what kind of storage depends in part on your propensity to trade and your view of imminent market movements. Still, security and storage should be key items on your crypto to-do list. Just as investing in another asset class, you should monitor your investment, even if you are a long-term holder. This includes tracking price information on sites such as coinmarketcap.com. Personally, I also like the mobile app Blockfolio, which allows you to input your crypto portfolio and track its value in real time. To stay up to date with the newsflow in a rapidly evolving industry, social media are indispensable for cryptocurrencies, including Twitter, Reddit, and Medium. On Reddit, you should join the appropriate boards, while on Twitter, you can search for the appropriate hashtags (such as #BTC and #bitcoin for BTC, or #LTC or #Litecoin for Litecoin) and follow frequent, knowledgeable commentators on the subject. There are also other sites that provide more technical data (for example, number of transactions or hash rate). These sites often differ by the specific cryptocurrency you are looking at, but for BTC, valuable resources include bitinfocharts.com and fork.lol. Few would argue that tax regulations have fully caught up to the rapid development of the cryptocurrency space. In the US, the accounting treatment of cryptocurrencies still seems uncertain since there hasn’t been official guidance from The American Institute of CPAs (AICPA) or the International Finance Reporting Standards (IFRS). In 2014, the IRS Revenue Ruling 2014-21 dictated that cryptocurrencies should be treated as personal property, with gains or losses on purchases or sales. Therefore, capital gains or losses should be recorded as if it were an exchange involving property, and if utilized as payment, it should be treated as currency but must first be converted to its fair market value. Still, the ruling left many questions unanswered. And, even within the US, states are treating cryptocurrencies differently. Consider New York State, which remains wary and has created the BitLicense system, which imposes guidelines on crypto companies conducting business with New York residents. In contrast, Vermont and Arizona have both recognized smart contracts and have assigned legal standing to records tied to blockchain, the underlying technology of all cryptocurrencies. Given the evolving nature of the industry, it’s prudent to take a conservative approach by keeping all relevant documents, proactively discussing the subject with your tax advisor, and possibly even proactively approaching the authorities. After all, cryptocurrencies are garnering increasing attention from the SEC and the IRS. In November 2017, a court ruled that Coinbase must supply the IRS with identifying information on users conducting more than $20,000 in annual transactions. This is undeniably a lot to digest. However, if you are an equity investor, there surely was a time when you hardly knew anything about the markets. Perhaps you timidly opened your first brokerage account, bought your first mutual fund, then your first individual stocks, international stocks, and perhaps eventually graduated to options and futures. Is it worth it? I am a biased person to ask. And I admit that there is a steeper learning curve, but you are also entering a new asset class at an early stage, possibly providing you with opportunities harder to find in the relatively efficient world of established asset classes. For the record, I do not advocate substituting all other asset classes with crypto—merely that crypto should also be considered, though you should remain aware of its risk. If you are curious and decide to move forward with crypto investing, then you may want to start slowly and simply. I personally started by putting an amount of money that I was comfortable losing completely into one of the established exchanges, bought a little of the mainstream cryptocurrencies, and soon started to get a feel of whether this was for me. The best way forward for you will depend, of course, on your specific circumstances and preferences and may well include not investing in crypto at all. Just do not simply ignore the space and discard it out of hand without doing a little research for yourself. Good luck. The views expressed in this article are for informational purposes only. The article is not intended to be investment advice, and should not be used or relied upon as such. Seek a duly licensed professional for investment advice. Furthermore, nothing in this article is an offer to buy or sell or a solicitation of an offer to buy or sell any security, product, service or investment. All information and opinions expressed in the article are believed to be current as of publication and are subject to change without notice. The author has not received and will not receive direct or indirect compensation in exchange for expressing specific views in this article. How do you buy cryptocurrency? You can buy cryptocurrencies via exchanges, finding a counterparty, cryptocurrency ATMs, or directly via a private bank since some banks are now offering cryptocurrency trading services and related products. How do I sell my cryptocurrency? You can sell cryptocurrencies via the same buying channels: exchanges, finding a counterparty, cryptocurrency ATMs, or directly via a private bank. 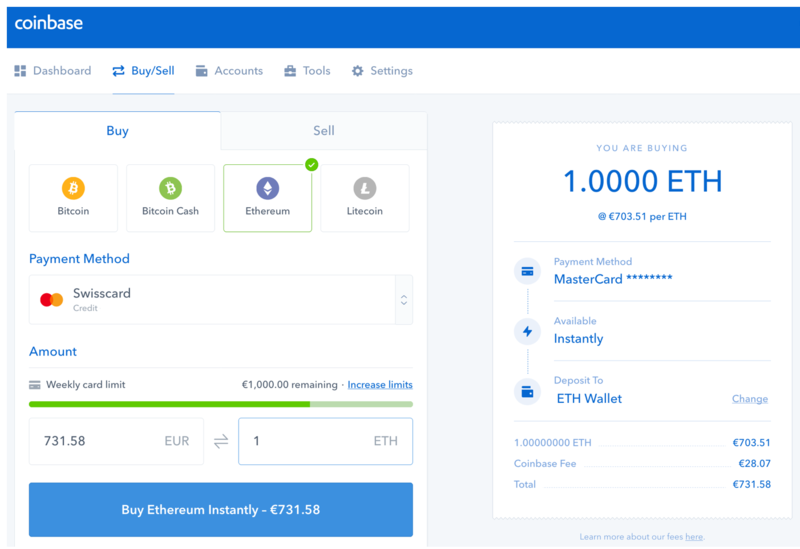 You can also utilize cryptocurrency debit cards, which allow users to spend cryptocurrency directly from their virtual wallets. Raphael was the co-founder of a fintech company which he grew to 50 employees and merged with a competitor after only four years. He has co-founded two hedge funds, incl. a cryptocurrency one, and worked for 15 years as a global equity investor and an M&A banker at firms like Deutsche Bank and J.P. Morgan. He also holds a master's degree in AI. As a consultant, he's passionate about analyzing innovative businesses and helping them grow.